I was just about to relax and have lunch on my balcony, something I do every day, when there was a loud bang, followed by a mighty crash. 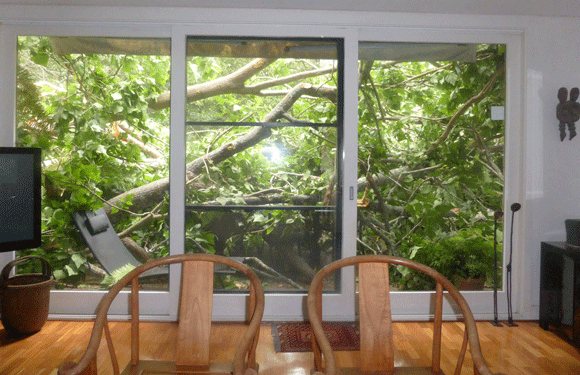 I was in shock – a huge tree had just crashed into the side of my house and branches filled the living room. I called SES and they inspected the damage. 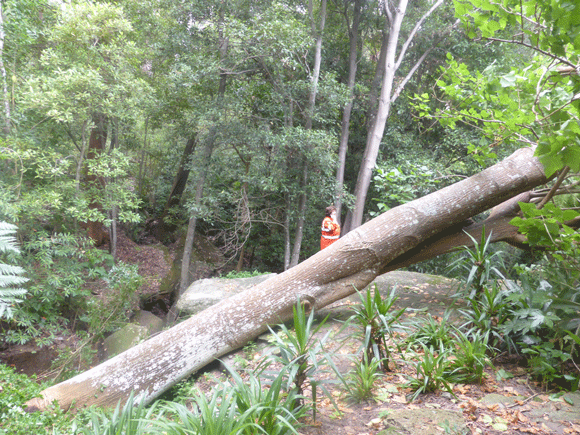 Then a Council Ranger arrived and organised an emergency crew to cut the branches off my balcony because they thought the deck might collapse. When all the branches had been removed I could see that all my beautiful 12 year old ferns were shredded. Nothing was left but a few furry curls. And all my lush tropical garden was destroyed. I was so sad. But, the ferns will grow again and when all the mess is gone I can plan another garden.